Macbook Mate: The MacBook Stand + Aluminum Port Plugs! 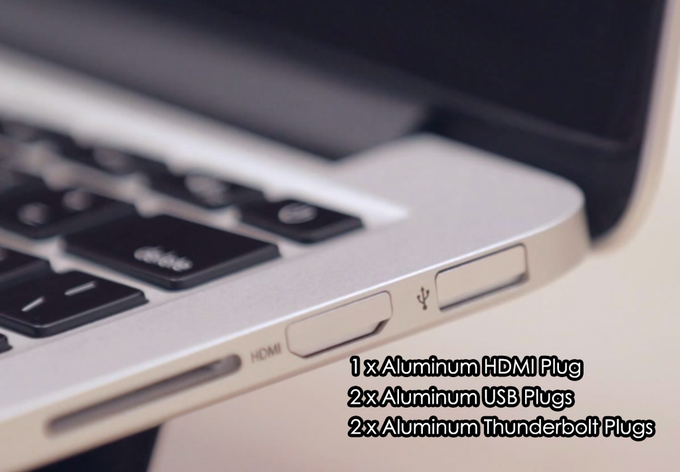 You are at:Home»BUZZ»Macbook Mate: The MacBook Stand + Aluminum Port Plugs! The MacBook Mate by Baseqi Designs is one of the best looking stands I have seen for the MacBook series. The MacBook Mate is simple, it snaps into the back of your MacBook Pro (retina series), new MacBook and also the MacBook Air. 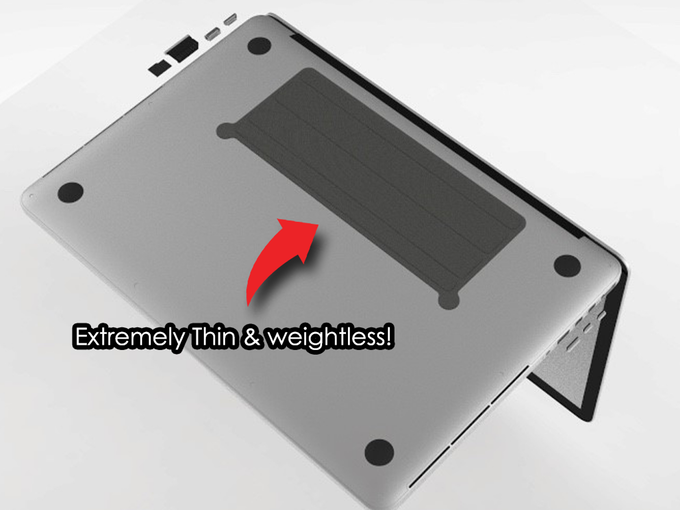 We’re waiting on confirmation if it will work with the 15″ MacBook Pro. Update: According to a Baseqi Rep: “Basically it works for all 11, 12, 13, 15 inches Macbook, Macbook Air, Macbook Pro & Macbook Pro Retina.” SO there you have it, the entire MacBook line. The stand varies in price. For one stand, you can get it as low as $16 to $19, the lowest price only comes in grey, whereas the $19 allows you to receive your stand 1 month earlier as well as pick your color (black, grey, blue, green and red) – add $4 for shipping! 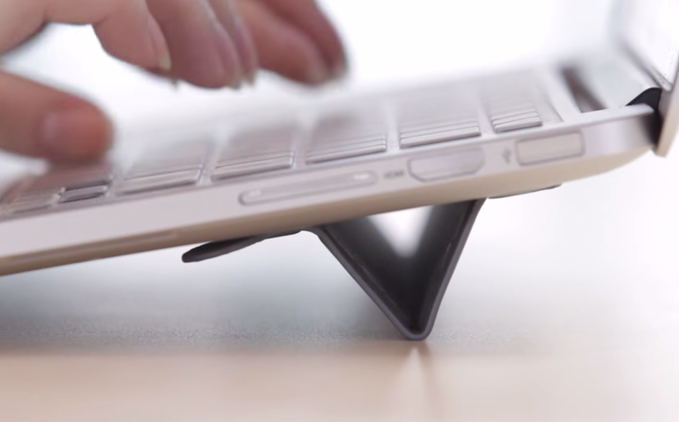 NOTE: Don’t forget to check out HUB+ for your new MacBook! In addition, there is also 5 aluminum plugs, which retails for $30. As opposed to plastic plugs, these are made of the same material as your MacBook and is flush even with your device. With 37 days to go, this project will definitely be funded! Ready to get your stand? Click here to head to their Kickstarter page!